The picturesque hill station of Munnar is famous for the ancient science of Ayurveda, which makes it a hub for leisure and medical tourism. The tourism industry in this beautiful town is largely centred on this ages-old Indian practice of holistic healing and rejuvenation. A sojourn in Munnar is considered incomplete without visiting Ayurvedic spa, which is a revitalising and unforgettable experience in itself. The refreshing climatic conditions and tranquil surroundings of this place provide a perfect setting for this healing therapy to work effectively. Natural ingredients are meticulously gathered from nearby forests and blended to form several effective medicines and oils. These herbs and medicinal plants have excellent therapeutic properties, which treat ailments without leaving side effects. 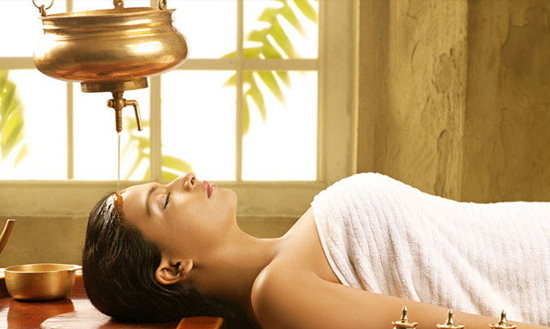 Combining essence of nature with human expertise, the Ayurvedic spas of Munnar promise a complete revival of senses.